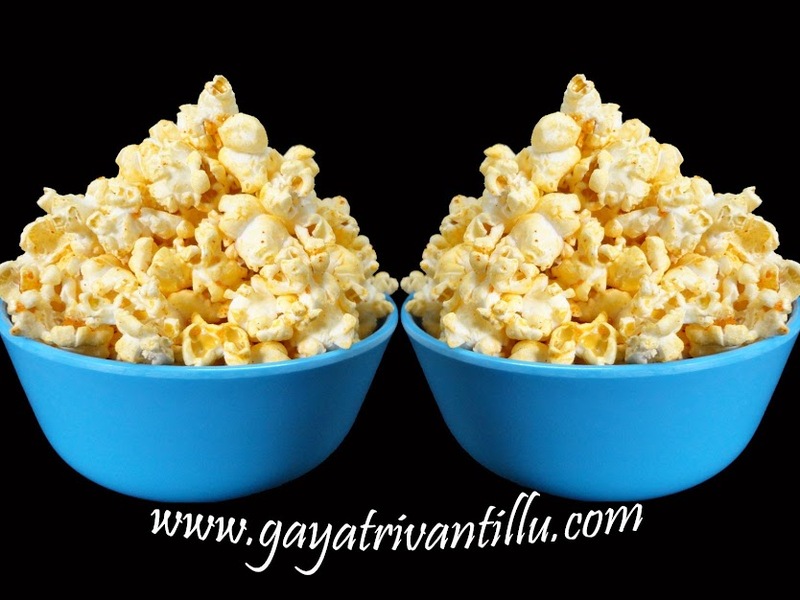 "Gayatri Vantillu" is our e-residence & I cordially invite you to watch my recipes showcased on this web-site. During this visit you enjoy the status of "Atidhi Devo Bhava". Every Recipe hosted on my Gayatri Vantillu is tested, tasted & perfected before being shared with my viewers. All recipes have English Text. Use the Site Search on the top of the website, where you can type the name of a vegetable or ingredient to locate a relevant recipe! Before attempting a recipe, don't forget to read the "Tips and Points to Remember", which have lots of information. Your viewership & patronage, made me YouTube India TOP-CHEF in 2014. Thanks! I am hosting Video Recipes which I have been preparing in my "VANTILLU" (meaning - Kitchen in TELUGU) for more than 28 years since my marriage. I use both Gas Stove & Micro-wave Oven. You would also find me using standard measuring cups and a small weighing scale for Precision Cooking (See Kitchen Aids). I'm providing a online converter link on all my recipe-pages to facilitate conversions from grams to cups or Celsius to Fahrenheit based on densities of different ingredients. Recipes shown in my webiste are prepared from commonly available vegetables, pulses, cereals, spices. These recipes are cooked in my ordinary kitchen. A few recipes contributed by my viewers are listed at Guest Recipes community page specially created. My intention is to wean away people from Restaurants and Packaged Foods and encourage them to prepare "Home made Food". I consciously avoid food colors and other store bought items like cake improvers, emulsifiers, fats, creams, sauces, syrups etc because many contain various preservatives and chemicals. The yardstick in my kitchen is that I should be able to feed a child with my recipe without any guilt. "Cooking Simplified is Fun" is the lead slogan of my website. Through lucid explanation of culinary tips I want to make cooking, a simple fun. Cooking at home and feeding the family members with these tasty dishes brings in healthy life-style. I believe in the words "Family that Eats together also Stays together". In each recipe, I discuss the proportions of all ingredients (except salt which is to be added as per individual's choice - see blow). If these ingredients are put in the suggested proportions and all the steps meticulously followed, one should surely succeed in replicating the dish which I prepared in my kitchen. And... this serves my objective!!! I am a Vegetarian. I don't cook non-vegetarian recipes. I have consciously chosen to give my video narration is in Telugu and at the same time provide text of the recipe in English. By reading the text and watching my video, Non-Telugus also can follow my recipes. In short, language in the videos shouldn't be a barrier to understand what I want to convey through my videos. For more details you may like to read "Why My Videos are in Telugu?" It would be nice if you BLOG your outcomes on the recipes you attempted. If you have succeeded, let others know - so that they can confidently try that recipe. If you fail, then also let the world know, so that others would take the requisite precautions before attempting the new dish. Your blogging gives me an opportunity to identify the pit falls, if any, and suggest corrective measures. I encourage blogging and would respond faster to the queries raised there. I have decided not to respond to queries on Youtube Channel, because often these queries are raised by viewers without going through the text of the recipe given on my website. Mine is a one woman show where I am the Chef, Director, Photographer, Playback, Sound Mixer, Editor and what not? I have adopted for photo-shoot mode to host my recipes. Through this method, I am able to carry the camera with my left hand, right into the frying pan, while the right hand is busy cooking. I am able to clearly show the action in the frying pan for every step. It would be difficult to hold a movie camera all through with one hand and it cannot go as close to the frying pan as a still camera does (because the water vapor blinds the lenses). Through this photo-shoot method, I also believe that my viewers' attention would remain focused on the recipe and action in the frying pan. It doesn't get distracted to what I wear, how I look, what interior my kitchen has etc. Thus, I feel photo-shoot-style is more functional compared to a movie mode for my recipe shows. I belong to an Indian economic middle-class. My Kitchen, Utensils and Kitchen Aids also represent the same. The gadgets are functionally oriented rather than fashionable. Some of them are older to our wedding date!!! Their display would be average in looks. Emphasis of my video would be more on the recipe content, exact measurements of ingredients , process involved etc. My videos lack the luster of costly cut-glass and ceramic ware under arc-lamps. I had the youngsters in mind when I launched Gayatrivantillu. My target group were students, bachelors, forced bachelors, newly married etc., who were far away from home and didn’t have enough time to discuss culinary topics with their mothers and wives back at home. To my surprise I found that my target group has spanned wider, with new viewership coming from their friends, mothers, and grandparents too!! When I shared this with my father-in-law he jocularly remarked “Oh…. Gayatri Vantillu has come of age!!!”. From the google analytics, I gather that this website has moved right into the kitchens with videos playing on laptops / Tabs / Smart phones etc and assisting people in kitchen on real time basis!! Smt Sudha Kulkarni for Micro-wave cooking esp the Modaks video is too good. Shri Sanjay Thumma, the Chef of www.vahrehvah.com for his initial power packed recipe shows on YouTube which were really informative. My friends Vidya W/O Shri MR Gopal for Molakuttal & Avial, Devi W/o Shri DK Routray for Paneer Dish, Deepa Bhabhi W/O Shri PK Pandey & Pandeys' Late "Maaji" for Rotis, Manju Bhabhi W/O Shri Harish Jawa for Gobi Paraantha, Anuradha W/O Shri K Mohan for Ice-cream. Master M Srikanth (BoBBo), my nephew, from whom I drew inspiration to make a video from photos. Smt Tulasi should find a place here because she has given me the Tati pallu and similarly Smt Prabha and her in-laws who have given me Farm bonfire Roasted Tegalu. There were my friendly neighbors at Vizianagaram. Last but not the least - My viewers whose support constantly kept me motivated and made me YouTube Top Chef in 2014. I believe that no interaction goes waste and there is something to learn from old and young always. !!!! Enjoy Your Life in its Full !!!! Eat daily Good Delicious Home made Food in Limited quantities so as to "Live Longer to Eat" . Adopt Life Style Change discussed in this website to maintain good "FIGURE and HEALTH". Enjoy the fun of simplified cooking. Try to manage your home without servants,maids and cooks!! Do physical exercise everyday to be healthy.